A full-blown diplomatic tension is brewing between Singapore and Malaysia over what the City State says are potential infringements and unauthorised activities in its territorial waters. To double it up, the tension is acerbated by Malaysia’s protest note to the Singapore government over the latter’s decision to operate its Instrument Landing System (ILS) for the Seletar Airport. The two countries went deeper in the spat with Malaysia citing a trite law that says land reclamation does not extend a state’s basepoints and/or baselines in growing conflict on territorial integrity between both nations. In response to the Malaysian claims, Singapore reiterated that Malaysia’s recent actions west of Tuas encroaches into Singapore’s territorial waters. It said the actions violate its territorial integrity. But Malaysian Prime Minister Tun Dr Mahathir Mohammad said the country could ‘measure’ the distance to check whether it violated the Singaporean waters. The Ministry of Transport on Tuesday said it noted with grave concern Malaysia’s purported extension of the Johor Bahru port limits in a manner which encroaches into Singapore territorial waters off Tuas, through a notice in the Federal Government Gazette. To make matters murkier, Malaysian Transport Minister Anthony Loke’s comments on airspace issues at Parliament this Tuesday morning also sparked a reaction from Singapore. 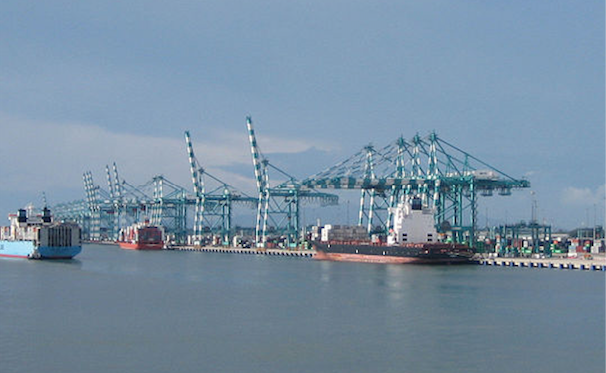 Loke reportedly said that Singapore’s move in Seletar could affect development in Pasir Gudang (Johor) as well as affect shipping operations at Pasir Gudang Port, which is located near the airport. He added that the government decided not to allow Singapore to broadcast its ILS, with the decision conveyed to Singapore on Nov 28 and Nov 29. Over the past two weeks, vessels from the Malaysian Maritime Enforcement Agency and Marine Department Malaysia have also repeatedly intruded into Singapore territorial waters off Tuas, the Singapore Transport ministry said in a statement yesterday. “Singapore has protested the unauthorised movements of, and purported assertions of sovereignty by these vessels, which are inconsistent with international conventions. “The Republic of Singapore Navy and the Police Coast Guard are safeguarding the sovereignty of Singapore territorial waters and enforcing the security of these waters on a 24/7 basis,” it said in the statement. Earlier in the day, Malaysian Transport Minister Anthony Loke told the Malaysian Parliament that KL had informed Singapore of its intention to take back airspace over south Johor which had been delegated to Singapore to manage, in stages, from next year. 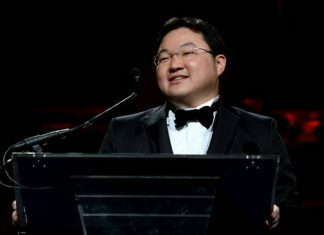 The Singapore Ministry statement noted that Malaysia’s purported extension of the Johor Bahru port limits and the repeated intrusions by Malaysian Government Vessels into STW are a serious violation of Singapore’s sovereignty and international law. “These actions are un-conducive to good bilateral relations, cause confusion for the international shipping community, and lead to increased navigational and safety risks for all parties,” it said. Sources told The Independent the Malaysian stance could be in retaliation of Singapore’s cancellation of Malaysian airline Firefly’s flights to the Seletar Airport. Firefly then said it will suspend all flights to Singapore with effect from Dec 1, the day it was scheduled to transfer its operations from Changi to Seletar Airport. The Star daily in Malaysia had said the plan was for Firefly to move to a new $80 million passenger terminal that opened on Nov 19 for scheduled commercial flights passengers travelling on chartered business flights or private jets. Changi Airport Group had then said all turboprop operations at Changi would move to the new Seletar Airport terminal from Dec 1.